 Throughout life, our skin can develop spots, bumps, lumps and other things that just “ought not to be there.” Many of these growths, such as skin tags and sun spots (“liver spots”), are harmless but can be cosmetically unappealing. Cysts and fatty tumors can become painful and require excision, and some growths should be removed because they are infectious or cancerous. Warts are a particularly common growth caused by local infection with a virus. Warts are contagious and may spread, and tend to be somewhat resistant to treatment. They often require multiple treatment sessions to fully resolve.  We will carefully examine your skin and treat any growths with the treatment modality best suited for that lesion and your skin type. Some growths can be treated with treated by cold surgery with liquid nitrogen or similar superficial methods; some may require a biopsy or surgical removal. From cyst removal to other treatment methods, concern for the cosmetic appearance of your skin afterward is of the utmost importance to us.